Every business naturally wants to have a successful marketing campaign, but the sheer number of options can be overwhelming. Is a viral marketing campaign right for your business? Is it better to go with in-person marketing? Is there a difference between the two? We will take a look at what separates the two as well as the benefits and drawbacks of each. 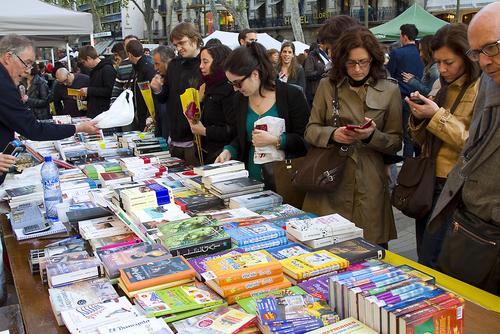 What Is the Difference Between Viral Marketing and In-Person Marketing? The primary difference between viral marketing and traditional forms of marketing, including in-person marketing, is the power of the Internet. In other words, it involves the way in which the message is transmitted. With in-person marketing, you interact with others on a personal level, in person, in order to spread your marketing message and gather subscribers. By comparison, viral marketing refers to any strategy that encourages others to pass on your message to others, thereby spreading the potential for growth of your message’s exposure. 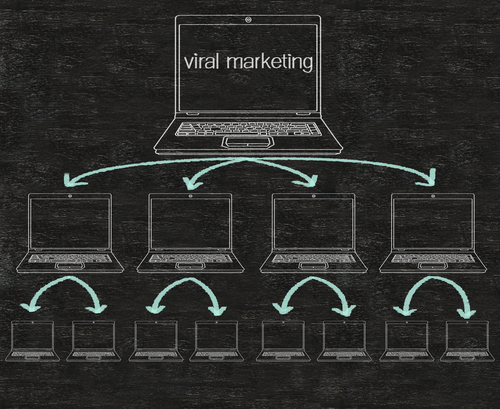 In this way, viral marketing works like a virus due to the power of rapid multiplication. In fact, with viral marketing, it is possible to spread your message to thousands, even millions, of people within just a short timeframe. Prior to the Internet, such marketing was often referred to as word-of-mouth or network marketing. Both viral marketing and in-person marketing have their advantages and disadvantages, depending upon your ultimate strategy, as we will see. Viral marketing is reliant upon others to distribute your marketing message through various networks, including social media and email. The basic idea is that one person will share interesting content with everyone in his or her network. That person’s contacts will then pass the message along to everyone in their networks, etc., thus creating a snowball effect. In addition, viral marketing also offers the benefits of high-efficiency, high credibility and low cost. There is no denying that viral marketing can certainly replicate quickly and help you to spread your marketing message to a far larger audience in a shorter timeframe than you might be able to accomplish with other marketing methods. The primary drawback of viral marketing is that you are dependent upon other people to spread your message for you. In most instances, this means that you must work with unknown networks, which means that it can be somewhat hit and miss. There is also the potential risk for receiving complaints regarding unsolicited email and SPAM. Still, when handled properly, viral marketing can be a highly effective and cost-efficient way to derive traffic for your business. The key to making the most of viral marketing is to make certain that you approach it in the proper manner. Begin by ensuring that you keep your viral marketing message simple. By nature, a virus requires an easy, fast replication in order to spread. Viral marketing works in a similar manner. Additionally, take care to ensure that the medium you choose for your viral marketing campaign offers value. People have a natural desire to share those things that they perceive to have value. Ensure that your message is worthy of being shared. It is also important to ensure that it is relevant. Whether it involves a current event, industry news, or popular trend, it is crucial to ensure that your marketing message will relate to your target audience in a meaningful manner. Finally, just do it. Avoid the trap of spending so much time planning your marketing campaign that you never actually execute it. In-person marketing involves getting out and actually talking to people in person. This can be accomplished in a variety of ways, including casual situations and more formal scenarios. Talking to prospects in person offers one tremendous advantage over viral marketing and other forms of online advertising and it is that you are able to make a much more personalized connection. The biggest drawback to in-person marketing is that it has a significantly limited reach. It is entirely possible that when you make a connection with one prospect, they may choose to pass on what they have learned from you to one or more of the people in their own networks. Even so, the reach of in-person marketing is extremely restricted in nature. While it is quite easy to hit a share button on social media or click the forward button on email, it is much more difficult to pass on a message in person. One of the most common problems that many people encounter with in-person marketing is simply knowing what to say. This can be particularly problematic for individuals who are somewhat shy or introverts. When speaking to prospects online, it is easy to hide behind an avatar. Furthermore, there is no need to respond in real time. This is not possible with in-person marketing. You must focus on the human factor, know what you are going to say, and be prepared to respond appropriately in the moment. While in-person marketing certainly has its limitations, it also has certain benefits. For instance, when prospects are local, you could be losing valuable opportunities and even revenue if you do not make the effort to actually get out and speak to them. Although an increasing number of small businesses are now online, there are still many businesses that are not. This could be because they do not feel the need to be online, do not have the budget for it, or because they do not have the time or resources to manage an online presence. Whatever the reason may be, if you fail to target these prospects, you could be leaving money on the table. The following tips can help to make in-person marketing a bit easier. • Always look prospects in the eye. • Make sure you speak clearly. • Bring the same confidence that you use online with you when marketing in person. • Consider practicing asking and answering questions. • Attend a play, music event, independent film opening, etc. Both viral marketing and in-person marketing have their strengths and weaknesses. When you want to reach out to a large number of people within a short period of time, viral marketing is certainly a powerful option.